You are here: Home / Green Living / Stay Healthy and Clean in Your College Dorm with Norwex!! Stay Healthy and Clean in Your College Dorm with Norwex!! It’s the moment so many have been waiting for- you’re sending your child off or YOU yourself are off to college!! They are ready to start their new life; you are ready to reclaim another room in your house. Amidst all the preparations, from textbook lists to emailing roommates to decide who is bringing what, have you thought about how you are going to keep your new space clean? Nothing sours new roommate relationships quite like a stack of putrid laundry. Or hair all over the vanity. Or whatever take-out is now a science experiment in the mini-fridge. Norwex is the perfect solution to all of these questions!! You only need water and a Norwex cloth to remove 99% of the bacteria from a surface. Seriously, all you need to do is wet down a cloth and wipe down the surface. Norwex cloths are made of super fine microfiber. The “fingers” pick up everything in its path. 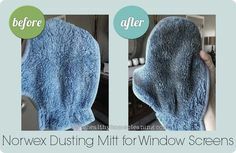 Once in the cloth, the microsilver embedded in the Norwex cloth self-purifies, meaning it creates a harsh environment that inhibits the growth of bacteria, mold, fungus, and mildew. This also means you can stretch how often you launder the cloths, which will work well for your schedule too! Check out these 5 must haves to keep yourself and your dorm space clean and healthy in just a couple minutes!! Enviro Cloth: This cloth can clean just about anything! Use it dry to dust and wet it down to remove bacteria! Body Cloth: When you have an early morning class, save yourself some time and money by switching to the body cloth. Just wet the cloth down and wipe off. It will give you a sponge bath that actually works by removing the sweat, bacteria, and other grime. This is not just for the ladies! College brings stress, which can lead to acne. This super soft suede cloth, removes the sweat, dirt, makeup, and excess oil from your face. I have seen it work wonders and you won’t need to buy expensive and harsh soaps. Makeup Removal Cloth: These cloths are fantastic for removing makeup from even sensitive eye areas. Think how much money you’ll save by not having to buy makeup remover! Odor Elmininator: When you’re in the final days before going home to do laundry, spray this on your pile to save relationships! It uses enzymes instead of chemicals to break down the organic material making things smelly. Silvercare Toothbrush: Since you may have to transport your toothbrush to and from community bathrooms, it will probably come in contact with more (questionable) surfaces than it did and mom and dad’s. This toothbrush has microsilver embedded in it too so it self-sanitizes. I hope you have a wonderful, clean, and healthy year at college!! These must haves are just the tip of the iceberg of all the ways Norwex can naturally keep your family clean and healthy without chemicals, without spending a fortune, and in just a short amount of time! Thanks for stopping by. Good luck at college this fall! 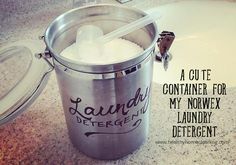 Dangers of Fragrance – The Real Smell of Clean Spring Clean the Laundry Room With Norwex! 4 Ways To Get Rid Of Bad Odors Naturally! The Silver Lining to Your New Year’s Resolutions! Norwex Birthday SALE on Items to be Discontinued! !